Olive May (née Olive Mary Meatyard), Countess of Drogheda (1886-1947), Actress; former wife of Lord Victor Paget, and later wife of 10th Earl of Drogheda. Sitter in 51 portraits. 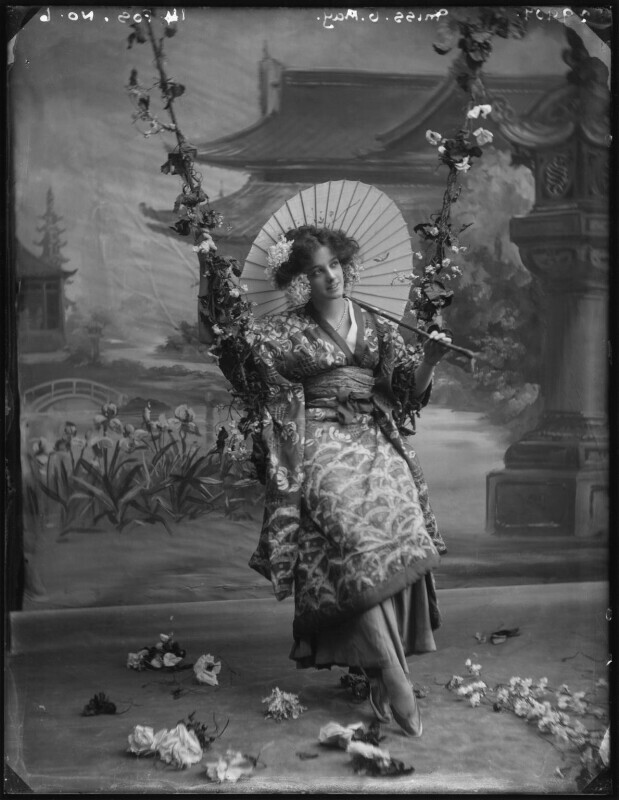 Our Miss Gibbs ended its long run of 638 performances on 3 December 1910.